From today TV Tonight enters summer Hiatus mode. This means the site will publish a morning news wrap Monday to Friday. There will be limited posts on weekends. Please note there will also be delays to Comments, Ratings and Calendar -your patience is appreciated during this time. There are still features, interviews and reviews to be published over this time, and a chance to look back over the 2015 year. A few more weekly TV Tonight newsletters are coming (you can subscribe here if you’re not on the list). And it is nearly time to get underway with the annual TV Tonight Awards. You are welcome and deserving ? Have a great “break” David. You deserve it. Thanks again for the best TV Blog! Enjoy your down time and hope you get to rest. Enjoy the Festive Season! Awesome work … enjoy the summer! Thanks again David for another great year of TV news. Gawd. Working every day of the year for the last 9 years does come with some compromises. I’ve always found driving it into ratings season when news is maximum works best but thx for feedback. you say you’re on hiatus but you’re always still working all the way through it. It’s won’t be long before you’ll have a “hiatus” hernia, if you keep up this level of work. David, I know you never really stop. But have a great break anyway! Another great year, have a good break, David! Enjoy the break David…thanks again for a great year!!! Great work in 2015 David. Have a great holiday , thanks for all you do, all the best for you and your family, hope Santa good to them all! Richly deserved David. I wish that I was doing the same. Yes hasn’t it just ! Thanks for another wonderful year of TV Tonight, David. Best wishes for a damn fine and rejuvenating break. And now the telly wasteland begins in earnest…. I wish you could clone yourself David! 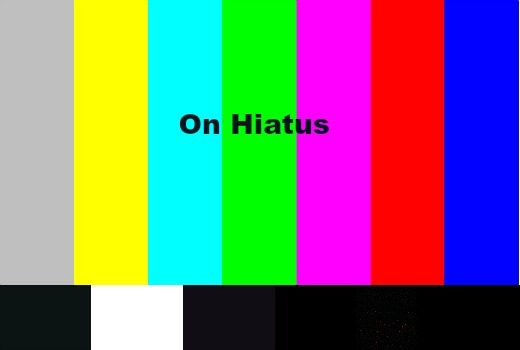 I dread seeing these “on hiatus” posts. Enjoy the break ?